Wills – For Your Peace of Mind, and Theirs. A Will, also known as a Last Will and Testament, is a document many believe you always need. It is also a document many try to do by themselves. Not everyone needs a Will. You only need a Will if you have a “probate estate”. When you die, you can no longer sign documents such as a deed to transfer ownership in property. The person who can be approved by the probate court to sign documents on your behalf is called an executor (if you have a Will) or an administrator (if you do not have a Will). You do not need to have anyone approved to sign on your behalf after death if you do not own any assets that would require that signature. For example, if you sell your home prior to moving in with a child or going to assisted living and your only other assets are bank or investment accounts and insurance policies with beneficiaries named, then you Will not have any assets that would be part of a probate estate and you can avoid the probate process entirely without a Will or a trust. A probate estate is composed only of assets that must be transferred with the signature of the person who passed away. Do-it-yourself (DIY) Wills can often cause more problems than they solve. Take it from some of my clients who have paid far more in probate fees because of mistakes they made when they tried to do Wills for themselves or their loved ones. A Will is a legal document that becomes active only upon death. It may be filed with the probate court after death. You may also file it with the probate court prior to your death, but you Will need to remember to file any codicils (amendments to your Will) or new Wills with the probate court as well to keep the court updated. This extra chore is why most people wait until death to file someone’s Will. A Will contains your wishes about how your estate, or your stuff, should be distributed when you die, guardians for your minor children or disabled adult children, who will oversee making sure your debts are paid and your property is divided and distributed correctly. 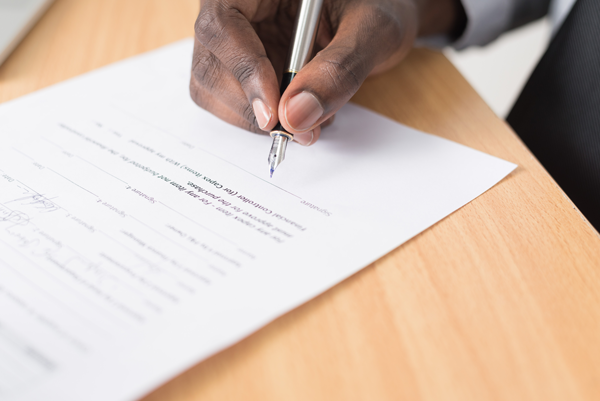 To create a Will, you must sign it the correct way with the correct amount of witnesses and an affidavit to have the no anxiety, no unwanted delay experience during the probate process. Georgia decides how your estate – or your stuff- Will be distributed if you do not have a Will. The probate judge decides who gets to care for your minor or disabled children. You could ruin the lives of anyone disabled at your death by causing their benefits to be removed because you gave them an inheritance. If you die without a Will, the state takes your place and directs the disposition of your assets. The state intestacy laws set out highly standardized and rigid rules that control who Will succeed to ownership of your property at death. Although these succession statutes attempt to be fair and equitable, they more than likely Will not provide for the distribution you prefer. A properly executed Will allows you to choose those individuals or organizations who Will receive your property at death.